Perhaps we hold certain stereotypes that prevent us from recommending mental health treatment for our elders. Do we believe change is only possible for younger generations? A few years ago, my mother-in-law, Joan, developed an infection following a root canal. Her dentist prescribed penicillin, which triggered an awful allergic reaction—she actually stopped breathing. “Joan, stay with us,” were the last words she could remember before she lost consciousness in the ambulance. Seized by fear after her penicillin-fueled brush with death, she couldn’t stop replaying the incident in her mind. These memories visited her at the most inconvenient times. In the middle of the night, when sirens echoed on her quiet street, she was instantly awoken and transported back in time. She ruminated about what might have happened if the paramedics had not arrived. A month later when her breathing was still labored and her heartbeat was too fast, pounding in her chest, she asked her physician for advice. He said it sounded like she was experiencing anxiety and prescribed some medication. The thought of taking an unknown pill to calm her nerves triggered memories of her allergic attack, and she opted for psychotherapy instead. She sighed. “You shrinks should really give out hot chocolate,” she noted, and we both chuckled. My mother-in-law was joking, but I understood how she felt. She was unsure how to form a trusting relationship with a stranger she had found via Google. In her generation, relationships were formed through reciprocity. Every Sunday when she attended her Quaker meetings, people brought fresh-baked loaves of bread and pastries to share. When a new neighbor moved in next door, she brought them flowers from her garden. The robust boundaries of psychotherapy where mutual sharing was suddenly off limits confused her. As Joan asked me these questions, I could feel her anxiety pulsing through the telephone. I was straddling the line between daughter-in-law and psychologist, and wondered about the best way to respond. “I’m sure she didn’t feel that way. It felt awkward, because it was a new experience. Let her know how you feel. It is so important that you are comfortable during your sessions. And no, I would not feel annoyed if my patient asked me a similar question,” I reassured her. “But, how am I expected to sit there and talk about myself for a whole hour?” she asked me. She had a valid point, and it was one I felt certain many people, particularly those close to her age, could relate to. Our elders need psychotherapy just as much as younger generations, if not more. Issues they face, such as retirement, losing friends and loved ones, and end-of-life decisions can all severely disrupt their emotional worlds. These distressing events also increase their risk of developing depression. 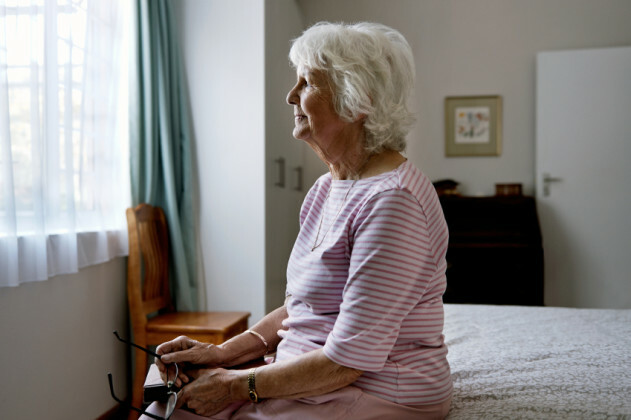 While approximately 5% of the elderly population suffers from depression, this number increases when health concerns and stressful life events arise. Early in my career, I worked at a university counseling center where we sponsored workshops that educated students about the benefits of psychotherapy. We had a neatly organized presentation with topics such as “You might consider seeing a therapist if…” Below this, we outlined some of the classic symptoms of depression and anxiety, also known as, the “common colds” of mental health concerns. I have yet to see a similar workshop or deliberate outreach for older generations. My in-laws recently visited a few retirement communities. Similar to a college tour, they came home with piles of brochures, chattering about which residences had the best food and the coziest accommodations. As my husband and I paged through the information, we read about daily activities, meal plans, transportation, and exercise, but nowhere did we see any mention of mental health resources. Wouldn’t it be ideal if all retirement communities had therapists on staff? As a psychologist, I know that one of the ways we can challenge the stigma surrounding mental health concerns is by normalizing them. My mother-in-law was traumatized the day she had her allergic reaction. This frightening event shook her sense of safety in the world, and anxiety was her body’s response to this emotional earthquake. Yet upon being released from the hospital, no one talked with her about her trauma, or recommended psychotherapy. She sought help of her own volition. Perhaps we hold certain stereotypes that prevent us from recommending mental health treatment for our elders. Do we believe change is only possible for younger generations? Does the image of the nurturing grandparent impact how we view grandma’s emotional health, because we believe the golden years are free from sorrow? Just because someone is nearing the last decades of their life doesn’t necessarily mean they wish to live them unexamined. Joan continued seeing her therapist for a handful of sessions. At her next appointment, she apologized for asking her therapist a personal question, and explained she was unsure how psychotherapy worked. Her therapist reassured her that she had not broken any rules, but expressed that therapy was an hour to discuss what was distressing her. The following summer, Joan felt strong enough to travel again. She purchased a ticket to Ethiopia. With her backpack, medical ID bracelet, and passport in hand, she embarked upon a solo adventure. She spent six-weeks hiking and exploring a country that was new to her with a widened perspective on life. When we saw a photo of her on Facebook riding a camel in the desert, we realized she had taken her life to new heights. Juli Fraga is a psychologist and writer in San Francisco. Her essays have appeared on the New York Times Motherlode, The Washington Post, and Psychology Today.